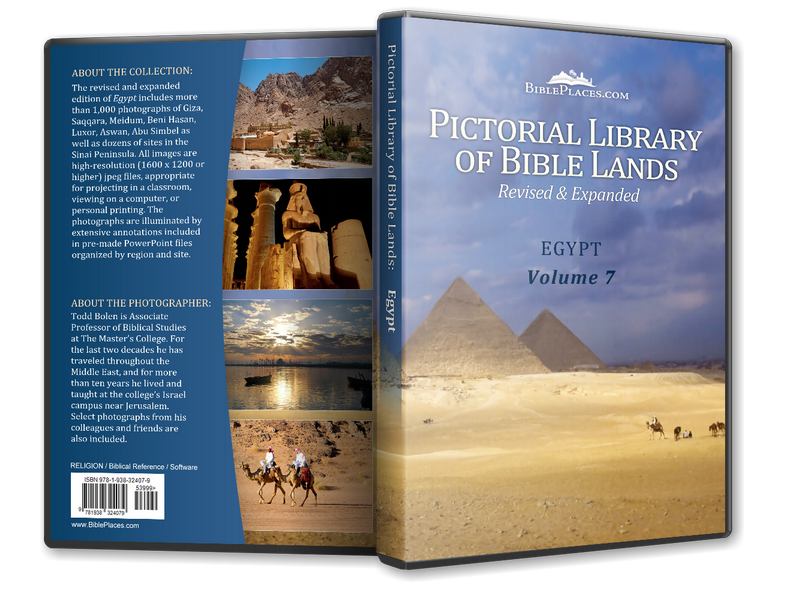 The Bible names the “Brook of Egypt” as the southern border of the Promised Land (Num 34:3-5; Ezek 47:15-19). In Hebrew, this is nahal mitzraim, to be distinguished from nahar mitzraim, which is the “River of Egypt,” the Nile River. The Brook of Egypt is identified by most scholars as the Wadi el-Arish. 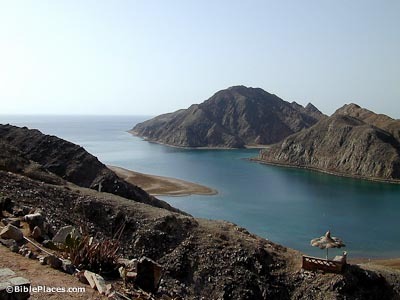 The wadi has a very large catchment area in the northern Sinai peninsula. 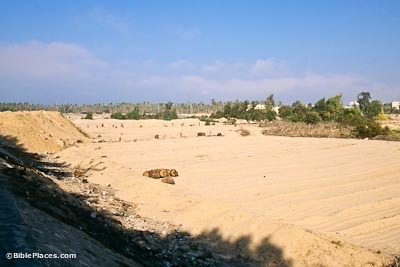 Today the wadi is not easily visible because the wadi is broad and flat and the wadi bed is planted with date palms. 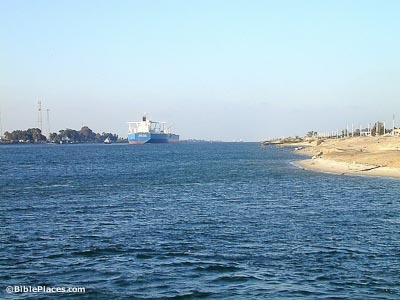 The Suez Canal connects the Mediterranean Sea with the Red Sea, allowing passage from Europe to the Far East without traveling around the continent of Africa. The Suez Canal was finished in 1869, but a previous attempt was made to connect the Red Sea and the eastern branch of the Nile River by Pharaoh Neco (620 BC). 18,000 boats pass through the canal annually, producing a revenue of $3 trillion for the Egyptian government (one boat was assessed a fee of $500,000). The canal can be traveled by boats only one way at a time. A square in the middle allows boats coming from the other direction to pass. The canal is 120 miles (195 km) long, has a maximum width of 640 feet (200 m) and a maximum depth of 60 feet (19 m). Some boats are too deep to pass through the canal and therefore Egypt is trying to deepen the canal by 3 feet (1 m) each year. “Who led you through the great and terrifying wilderness, with its fiery serpents and scorpions and thirsty ground where there was no water, who brought you water out of the flinty rock, who fed you in the wilderness with manna that your fathers did not know, that he might humble you and test you, to do you good in the end” (Deut 8:15-16 ESV). “Your clothing did not wear out on you and your foot did not swell these forty years” (Deut 8:4). 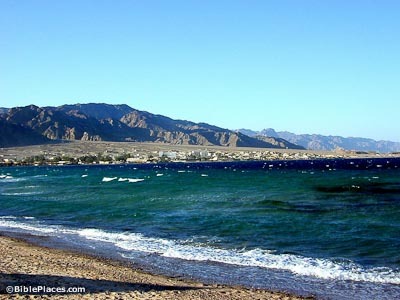 This beach resort town on the eastern shore of the Sinai Peninsula was popular with Israeli tourists before the intifada broke out in 2000. 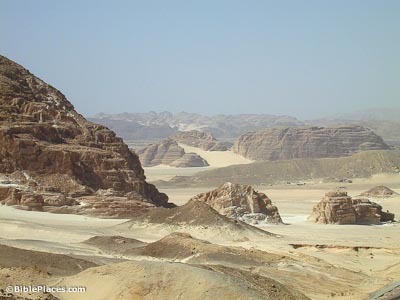 Most of the Sinai was occupied by Israel following the 1967 war until the Camp David accord and withdrawal in 1982. During that time, Israelis founded a moshav (agricultural settlement) here. The snorkeling along the Red Sea coast is world-renowned. What can you say about a picture like this? A few miles south of Pharaoh’s Island, this peaceful inlet looks like an ideal getaway. Grab your swimsuit, suntan lotion, and a good book!